The next Junior Conductor workshop for children ages 5-12 years is on Thursday, August 12. Our first workshop in July was very popular with children and their families. 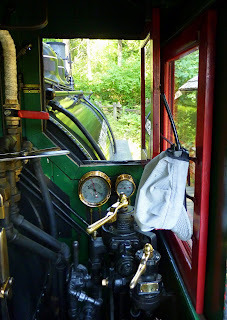 The kids enjoyed a tour of the BCFDC's collection of steam locomotives, explored how steam technology works, learned the conductor's hand signals for communicating with the engineer, and the engineer took them on an insider's tour of Samson's cab! The workshop provides a great opportunity for kids to learn about trains while having fun as part of a family day at the museum. Caregivers must remain with their child throughout the program. The workshop runs from 10:30-12:00 and is included in regular admission (or membership). Advanced registration is not required!